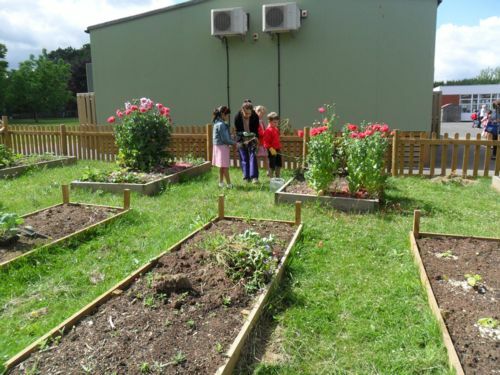 Micklands Primary School has been working with food4families since 2011 to transform an area of the school playing field, which contained condemned play equipment, into a garden where families from the local community can learn how to grow fruit and vegetables. 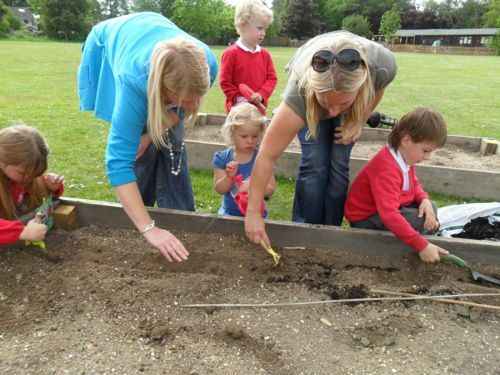 Families involved gave up time at the weekends, to help carry out the initial demolition of the condemmed equipment and construction of the raised beds. We also had help from some corporate volunteer groups. The garden food growing area provide the group with plenty of planting and weeding. 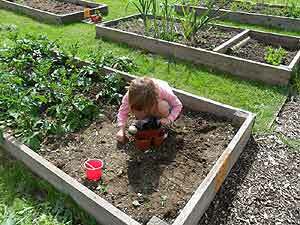 The children also enjoy the responsibilty of watering the garden. We have been able to pot up some of our plants, including strawberries, which have been sold at the summer fetes. The little ones getting a little help and guidance with the sowing. A good lesson in crop rotation, as not every raised bed is cultivated, those that are blooming are showing off red and pink poppies. 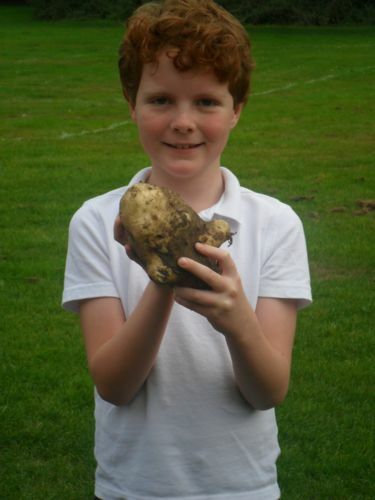 Harvest time for potatoes, perfect for Mash, Chips or simply Baked. Beans are also on the menu! 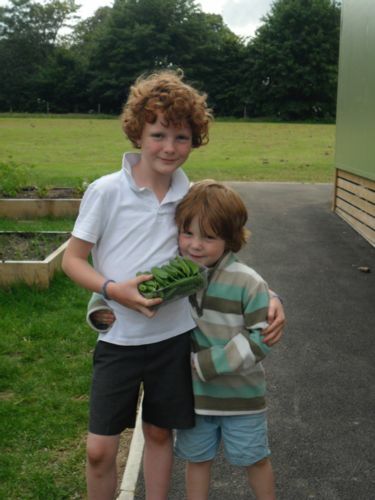 Yet more results from Micklands Primary School Community Garden.